Managing the acne patients involve proper education to dispel the acne myths, defining the goals of therapy and instituting evidence based therapeutic measures. Most adolescents and teens affected by acne bumps are anxious and worried about the after effects of acne bumps, the acne scars and blemishes. Proper education is necessary to reassure the patients about the natural course of acne. But care should be exercised not to trivialize the condition, so that proper treatment is delayed or ignored. Education is based on various aspects of acne and its management. The prevalence of acne. Acne is a common disorder of the adolescents and teens, affecting almost everyone at least once during their life time. The natural course of the pimples. There are different types of acne and most cases of mild acne improve without causing scars. Moderate to severe types of acne require therapy for longer duration to avoid the scarring. The common acne myths. There are many prevailing; should be clarified during the first visit. Treatment options for acne. Treatment differs according to the types of acne. Life style adjustments required to reduce the chances of recurrences. Follow up and maintenance therapy. Regular follow up and maintenance therapy with topical retinoids is necessary to keep the acne eruptions under control. To get rid of acne bumps. To prevent the inflammation from becoming deep and extensive. To improve the compliance of patients. To reduce anxiety and stress associated with pimples. To improve self esteem in affected teens. 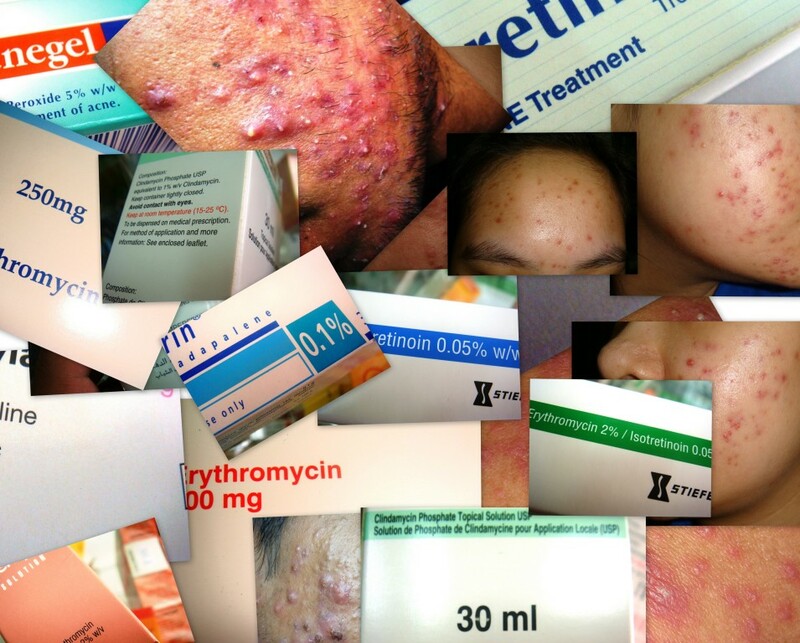 Choice of acne medications depends on the type and extent of the acne eruptions. Mild comedonal acne: Topical retinoids alone or in combination with topical clindamycin or benzoyl peroxide. Acne topical medications alone will suffice in this type of acne. Moderate papular and pustular acne: Combination of topical antibiotics and benzoyl peroxide. If inflammation extensive: add systemic antibiotics. Severe pustular and nodular acne: Systemic retinoids alone or a combination of systemic and/or topical antibiotics and/or benzoyl peroxide. Laser and blue light therapy may be useful in this type of acne. Very severe nodulo-cystic acne: Systemic isotretinoin for the first 12-16 weeks, then shift to combination of systemic antibiotics and topical retinoids if necessary. Surgical intervention and intralesional steroids if necessary. Acne Scars need to be dealt with according to the individual characteristics and types of scarring. Most acne sufferers are free of the disease by the age of 25 years. About 3% males and 12% females may still get periodic acne eruptions beyond 25 years. Maintenance therapy, usually with topical retinoids, is necessary to prevent acne recurrences. Adherence to these best acne treatment practices will not only help get rid acne, prevent scarring, but also ensure better patient compliance.